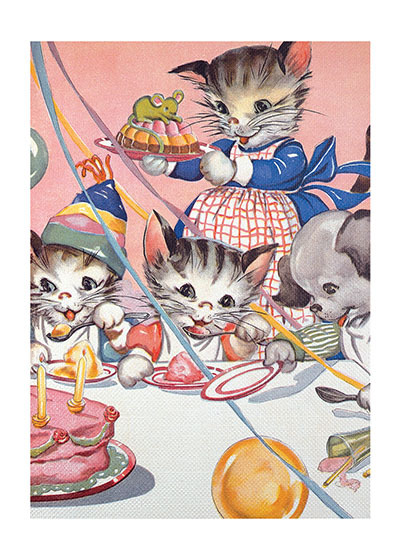 INSIDE GREETING: A grand celebration for your birthday. 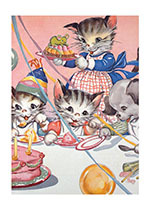 Pretty kittens are celebrating with cake and other treats in this perfect card for a little girl's (or a big girl's!) birthday.